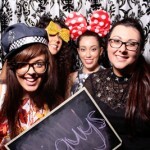 In the Booth provides boutique photo booth hire in Adelaide and surrounding areas. 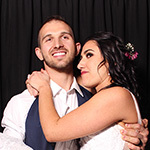 If you’re looking for great entertainment and lasting memories for your wedding, party, corporate function or any other special event, please take a moment to check out our site for your Adelaide photo booth hire needs. Adelaide offers the best of the best; the best and most liveable city with the best beaches, the best festivals and a stone’s throw away from the best vineyards and Hills in the country. Likewise, In the Booth has the best photo booths Adelaide has to offer. With all of the magic that Adelaide provides, we are often on the world stage when it comes to festivals and entertainment. 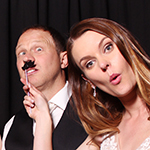 From weddings to corporate celebrations, promotions and conferences to birthday parties and school formals, In the Booth Adelaide has the photo booth hire for your next special event! Hi..! 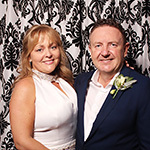 We are Mike and Deb from In the Booth Photo Booth Hire in Adelaide. We are born and bred Adelaidians and are very passionate about our fair city and love what it has to offer. We have been married for 30 years and have 2 adult children, Jarred and Jade. We have always wanted to own our own business but never really found anything that excited us. That was until an opportunity came up with In the Booth! We jumped at the opportunity and haven’t looked back. In the Booth Adelaide have been back to back winners of the Australian Bridal Industry Academy awards for South Australia in 2014 and 2015. When we aren’t boothing we love to spend time travelling, listening to music and spending time with family and friends. We would love for you and your guests to have a little fun ‘In the Booth’ at your next event. 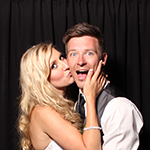 Enquire now for Adelaide photo booth hire! "Hey guys, just letting you know I received everything in the mail today. 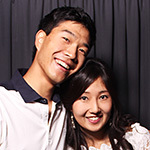 Thank you so much for a wonderful night with the Photo Booth. All my guests had the best time ever. I’m still getting comments about it. Photos turned out brilliant and Simon the photo booth attendant was terrific. Again, thank you. Will definitely be recommending you guys!" 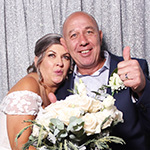 "Dear Deb and Mike, thank you so much for all your help with giving us such a great experience with having a photo booth. It was so much fun and the photos are brilliant. Deb did such a good job as host. I would recommend you guys to everyone. So impressed with it all, especially the personal touches and USB presentation." "Dear Debbie and Michael, thank you for your wonderful service. 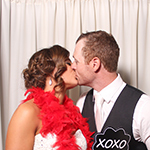 The photo booth was amazing, provided lots of fun on the night and gave us lots of fantastic memories forever!" "Hi guys, thank you for making our day so special. Everyone loved Michael and In the Booth and I have no qualms in recommending you guys to my friends and family. Out of everything that happened in the night, the photobooth was one of the things everyone raved about! Michael, you were absolutely fantastic, the best attendee we could have hoped for!" "Hi Mike and Deb, wow - what can we say!! We can't even begin to thank you enough for everything! What a fabulous night filled with laugher, joy and captured memories! It was an absolute pleasure on Saturday and everyone loved your photo booth. We can't wait to see all the memories from the night! From every email, question and phone call- it's been fantastic. Topped off by a magnificent host on the night. Our love and thanks a million times over." "Hi Michael and Debbie, thank you for the amazing job you did at my wedding on the 21st of October at the town hall. Michael, you were our attendant and you were absolutely amazing!!! It's very clear you love your job and that's great. Everyone of my guests has said how great you were and how helpful and entertaining you were. Thank you so much for adding your creative spin on our guest book, you did a great job!!!! 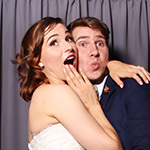 I will certainly be recommending you to anyone who asks me about photo booths." "Hi Michael and Debbie, thank you so much! I just wanted to say a very big thank you, everyone LOVED the booth and your attendant was amazing, so friendly and helpful, just what you need for a busy wedding!! I won't hesitate to recommend you to friend, family and anyone else!" 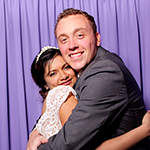 "Hi Mike and Deb, thank you so much for the amazing photo booth for Edward and Tiffany’s reception. It was a huge amount of fun, and we appreciated your professionalism and enthusiasm and encouraging guests to participate. The memory book is fantastic, although I haven’t had time to take it all in yet - the afternoon is like a blur to me! My daughter (with no marriage plans on the horizon) has already said she definitely wants a photo booth at her wedding! Many thanks again for adding such an important element to Edward and Tiffany’s special day." 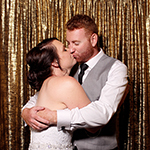 "Hi Michael and Deb, I couldn't have been happier with my In the Booth Adelaide experience. From the first enquiry until the day was all said and done, everything was professional and seamless. I will highly recommend to all my family and friends. Thanks so much for helping to make our day so special." 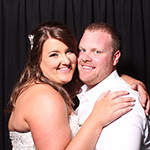 "Hi Mike, my husband and I just looked at the beautiful guest book you put together and were so pleasantly surprised. It was so lovely how you put all together. Very sweet and special to us. We loved it!! Thank you so much for everything....you were so lovely and friendly on the night. And the booth was perfect. Thanks again!" "Thank you so much for everything you did at our wedding! The photo booth was amazing and everyone enjoyed getting in and taking photos! We loved the photo album and the slide show reel that we shared on social media! We have given you a glowing review and are so appreciative of your service!" 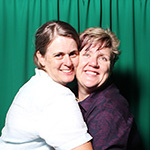 "Hi Mike and Deb, thank you so much for the photo booth and making it so much fun. We still have guests raving about how much fun they had in the booth. Deb, you made it fun and got people involved which made it that bit more special. We loved receiving our USB and looking through the photos again. Thank you so much!" "Hi Mike and Deb, you absolute champions! The photo album is the most wonderful keepsake we could ever have hoped for. Thank you so much. We will give you great reviews on every site we can find." "Firstly I just wanted to thank you so much for a wonderful job on Saturday night! Deb was all over everything that was happening and because of this she got some great photos that we weren't expecting, so thank you so much. You guys exceeded our expectations exponentially! You do a wonderful job. Thank you so much again. " "Charlie and I wanted to thank you for your exceptional booth on Saturday night. In the Booth Adelaide added a real fun element to our wedding, which is exactly what we wanted. We have some really amazing memories of our family and friends at our celebration. Our guests have given feedback how great you personally were as well; helping them throughout the night and creating some really great photos. I also appreciated the extra photos you took around the room throughout the night, capturing some fun elements. We didn’t need to worry about anything through the night as you ensured everyone was assisted. I really thought the extra encouragement you gave people to have a go in the booth, was fantastic." "We just wanted to send a quick email to say thank you from the bottom of our hearts. Your passion for your job shines through with everything you do. You worked harder than anyone else, and you were so full of beans the entire day. We have had multiple guests comment on how amazing you were and how thrilled they were to use your services. You were engaging, entertaining, professional and warm hearted." 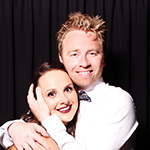 What is it you love about providing Adelaide photo booth hire services? Without doubt, the best part would be the smiles we create at every single event. We love the diversity of events we get to attend large and small. Photo booth hire is all we do, so concentrating of every detail is our key focus. The satisfaction we receive from providing a first class service to our clients is our biggest reward. Tell us about some uniquely Adelaide touches you have seen at an event? Living near the Barossa Valley we do see a lot of gorgeous events in vineyard settings. The most eclectic, Adelaidian event that comes to mind though would have to be a horror themed night, set at a particularly old hotel in the city. The booth was behind a black curtain in a tiny darkened room, and the props included some very chilling masks and costumes. The guests were also in costume which made for an amazing show and the whole night went brilliantly. Needless to say the booth was a deadly hit!! How many people can you fit in at one time, and does your booth come with props. We can often fit the whole bridal party in at once, which makes the bride and groom very happy as they can get a great team photo! We provide a classic, high quality set of props that everyone loves including glasses, perfect pouty lips and a selection of moustaches’ which enhance the classic aesthetic of our booths. In a wedding or engagement sense, personalize the event to reflect the true character and nature of both of you. Whether it is a lavish spectacular or a simple, home grown experience, make it an expression of love, and something that will remind the guests of you both. With the many other types of events we do, it is all about fun, fun, fun!! We have been involved with some incredible functions with In the Booth and keep guests entertained all night long! When in Adelaide you must? Spend time relaxing and enjoying the sights and sounds of our beautiful city, including some delectable eateries. Make sure you take a drive up to Mount Lofty at night to view the glistening, panoramic views of the Adelaide environs, it's quite the view! In summer you just can’t beat Glenelg, or a paddle boat ride down the River Torrens in the heart of the city. Enjoy! !